Owns and operates a full time Charter Boat. Holds a Coast Guard 100 ton Master License. Born on the water in the Throgs Neck area and has been fishing the Long Island sound region for over thirty years. With a passion for the sea and the strive to customize every aspect of the trip to meet the client's needs guarantees a safe and fun filled adventure! Set Sail Night or Day from City Island NY ! Frank is the best! 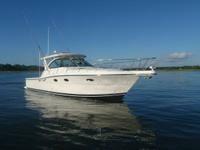 Responsive, maintains a clean boat and makes you feel extremely comfortable. A must do and highly recommend to others! Exactly what we were hoping for and as described. Thanks so much for a great charter.